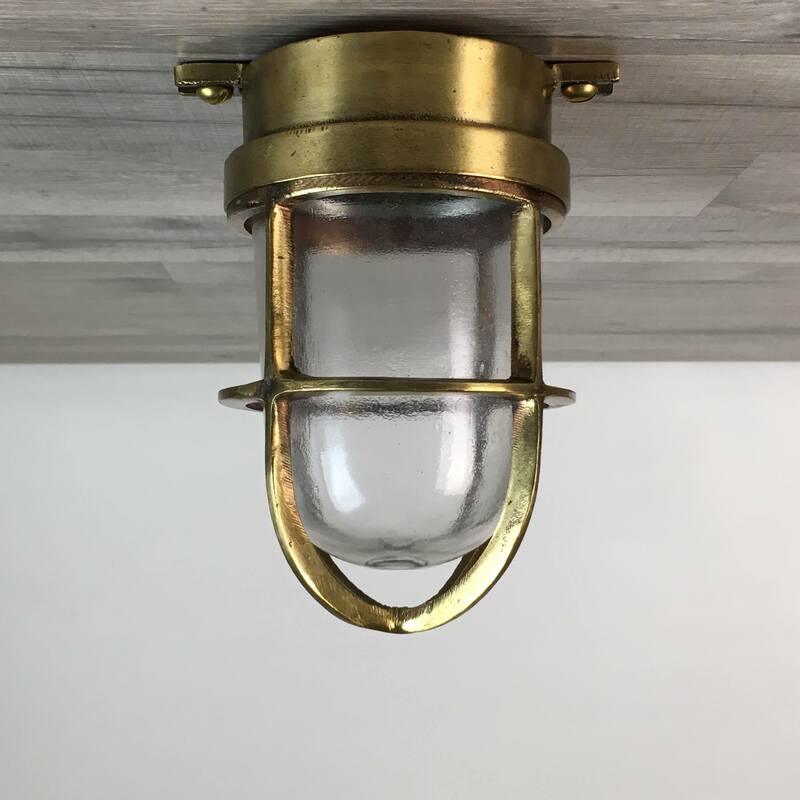 This antique brass bulkhead light with brass cage weighs just over 7 pounds. From the top of the wall mount to the bottom of the cage, the light measures 8 1/2 inches tall. The wall mount measures 4 1/8 inches wide and has four mounting holes that are 2 1/4 inches on center. When mounted to the wall, this light will extend out from the wall by about 8 inches. Note: The brass cage is not completely polished and will have slight bends. 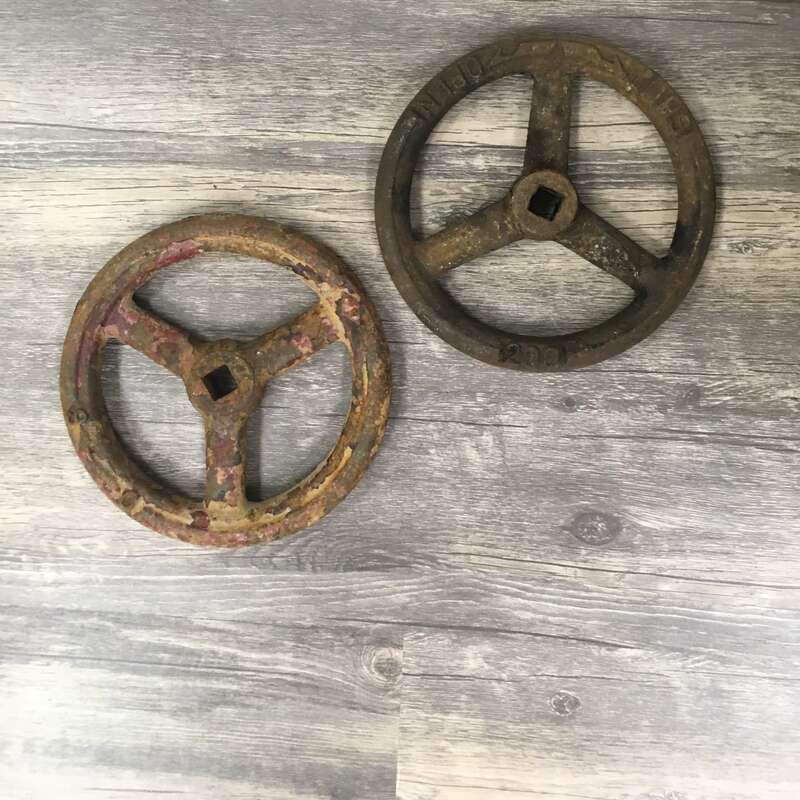 You will be shipped the antique brass bulkhead light with brass cage shown in the photos.